Post pics? You must be kidding Z! Oh dang! Yeah you're right JK. Jim, you have a PM ! Thank you for the ppositive feed back about my 24V conversion ! At this point I have to thank KEVIN very very much for all his ideas, experiance and helpful parts !!!!!! Block cleaning was a really hard work, ... first cleaning with grease remove solvent, ... then cleaning with hot water high pressure KÄRCHER, ... finaly cleaning ( took me almost one week !!!) with wire brushes by hand and mashine. Yesterday I´ve done lightening of flywheel, it ended up with 8,2 kg. 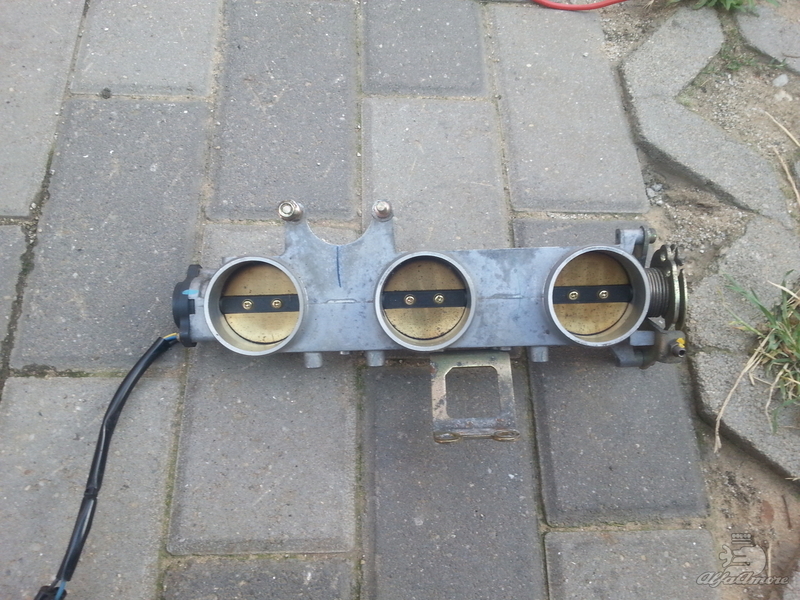 I´ve also mashined the 75 pully to fit into the 166 small pully of the timing belt. Nice build! Is this a 3.0 or 3.2? What brand are the con rods? Do they have the offset like the stock ones? It´s a 166 3,0 V6 24 V and not a 3,2 Liter engine because of class regulations at my race series here. Con Rods are coming from PPM Racing in Australia and they have the same dimensions as the standard 3,0 V6 24 V rods, just less weight and they are very very accure, weight is equal to 0,5 gramms. I save a total weight on the piston / con rod sets of almost 1,87 kg for all 6 sets together, ... that´s very good I guess. Crank is new plasma nitrited and polished, main and rod bearings are special once with a little more clearance acc. to Glenwoods / Kevins recommendation. Liners are honed to get same piston / Liner clearance of 0,09mm acc. to CPS recommendation. Next step will be fine balancing of the whole crank assy. I will go for the factor 51% acc. to Jim´s recommendation. Actually what's the big deal about the rod offset? What if I bought the max speeding non-offset rods and machine the small end so it is as wide as the stock rod small end? I don't even know the logic behind an offset rod. 75evo wrote: Actually what's the big deal about the rod offset? What if I bought the max speeding non-offset rods and machine the small end so it is as wide as the stock rod small end? I have OEM, Max speed and PPM connecting rods that I have just finished measuring. In brief, the bore centerlines and crankpin centerlines are offset on the V6 motors. The OEM rods are approximately .028" to .032" offset. 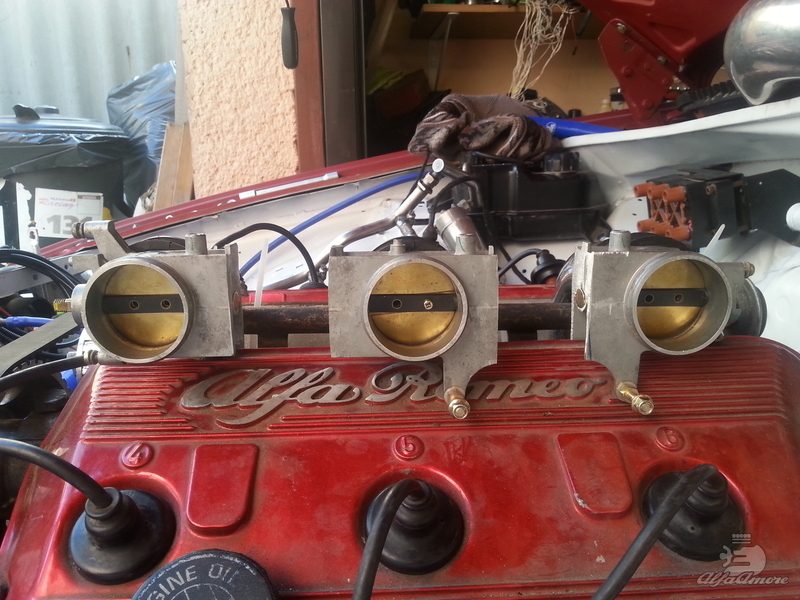 Alfa made the offset in the big end which would be the best place structurally to do it. The rods are offset opposite for the right bank versus the left cylinder bank. Aftermarket rod manufacturers seem to always do it in the small end because it is easier to do it there. The Max speed rods are symmetrical with no offset, the small end width measures .932" which is just a few thousandths less than the OEM at .934" to .936" This difference doesn't matter at all. The PPM rods have an offset of about .022". The offset is in the small end. The small end width measure just a .001 wider than the above rod. I wrote Max Speed asking about the lack of offset and they asked if I could send them an OEM rod for them to look at. I have no idea what Carillo's rods look like. IMHO the offset doesn't really matter much if at all. Just as long as you don't do like the builder of my motor in my GTV6 race car and install the OEM rods in backwards. Then they are double the offset wrong. (.06" off) The rods small ends were up against the pistons. RJ said the same thing on the BB wrt the offset. I just got my set of rods. Will commence my 3.2 24V build soon. I think my 3.0 12V will be up for sale. But it needs megasquirt or something. L-Jet will not run it. 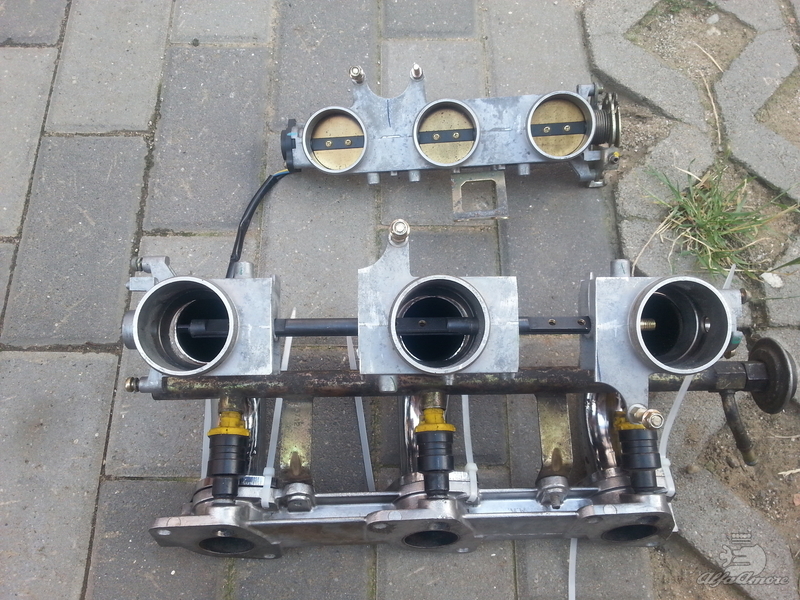 My ITB projekt is made from Triumph Speed Triple throttle bodies. As it's a low cost test for me, I've used what I have in the garage. So the intake pipes are from 2.0 V6TB engine, the couplers are from a 3.0 24V, the fuel rails will be made from a the V6TB engines fuel rail. So here are some pictures.